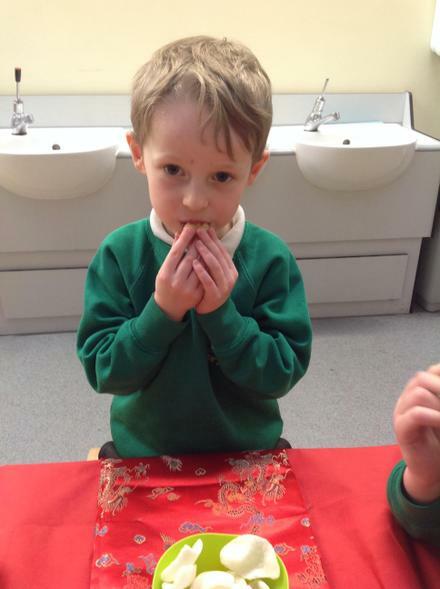 The children in our Reception class have really embraced the Chinese New Year celebrations today. 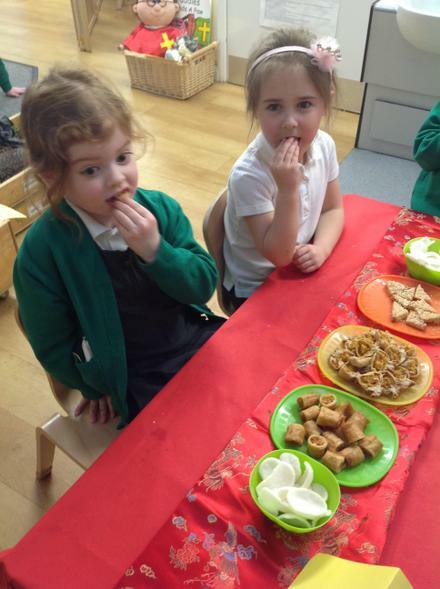 They enjoyed sitting down to a Chinese banquet, tasting some foods that they haven't tried before. 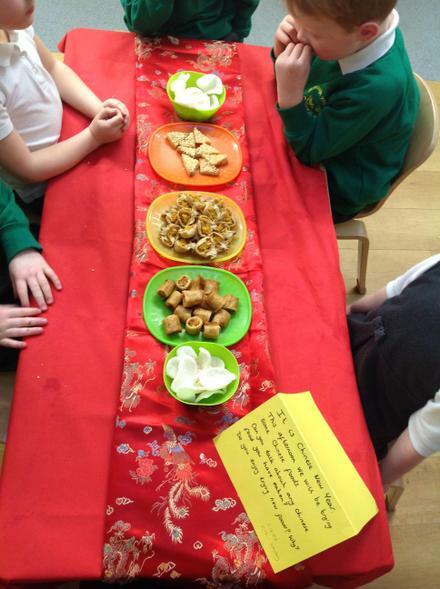 We spoke about the food that is eaten in China and how they usually eat 8-9 small dishes as part of a meal. 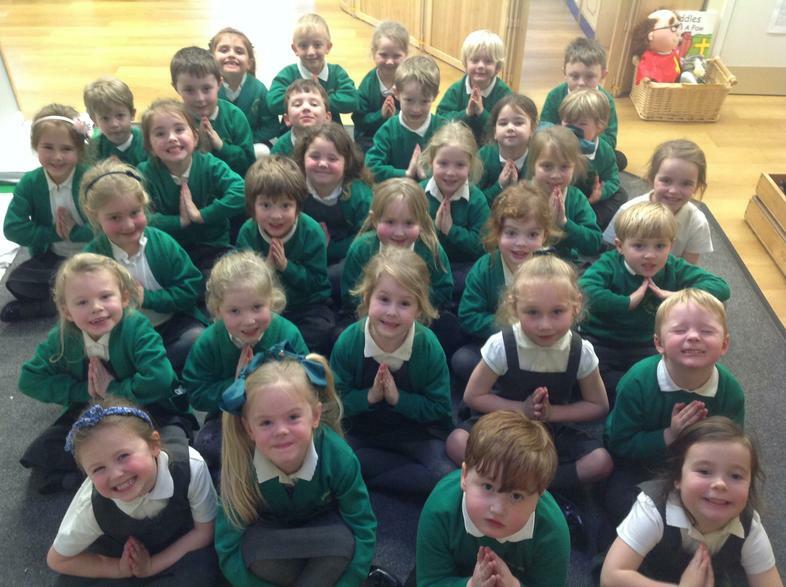 The numbers 8 and 9 are considered to be very lucky. 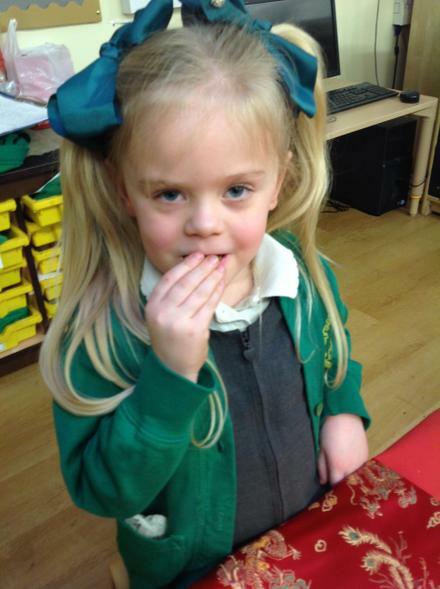 The class watched a story about a little girl who was born in China but now lives in England, who told us that the colour red in China is believed to be very lucky. 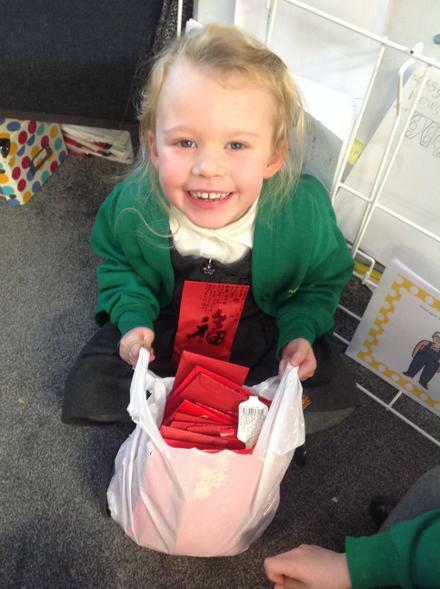 One Chinese tradition is to put money in a red envelope and give it to others for luck. 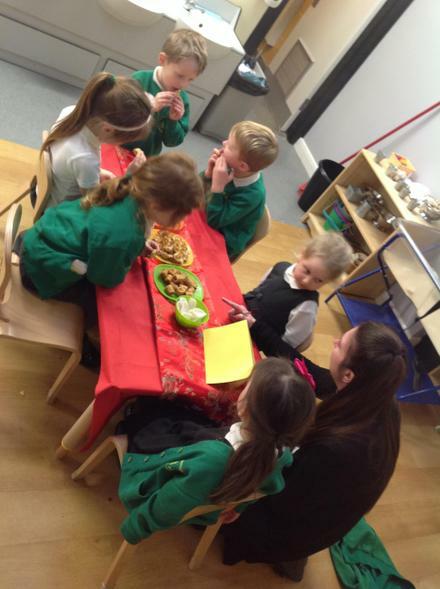 One of our pupils decided to uphold this tradition and brought each member of the class and the staff a chocolate coin in a red envelope, very inspirational!